The New AA-55 series polarimeters are low cost, versatile, fully automatic instruments for measuring numerous types of samples from sugars to pharmaceuticals. The sample chamber can accept an extensive range of tubes and cells from 5mm to 200mm path length, including single sample tubes, flow through tubes, jacketed tubes for close temperature control and small volume cells. connected serial printer or PC. 'Test Pilot' Software: Windows compatible allowing the transfer of polarimeter data simple and easily to a spreadsheet, database or document within a PC. ADU Keyboard: with touch screen allowing the inclusion of data required by GLP. Mini printers: either thermal or impact serial printers available for direct printing of results. Quartz Control Plates: a full range of standard rotation values in either angular or ISS degrees. Supplied with UKAS Certificate of Calibration. 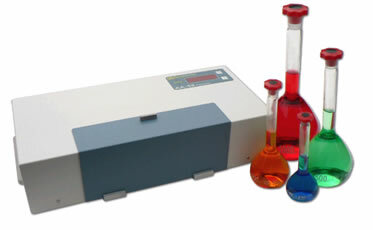 All AA-55 series polarimeters are supplied complete and ready to use, with one stainless steel sample tube, handbook and dust cover.